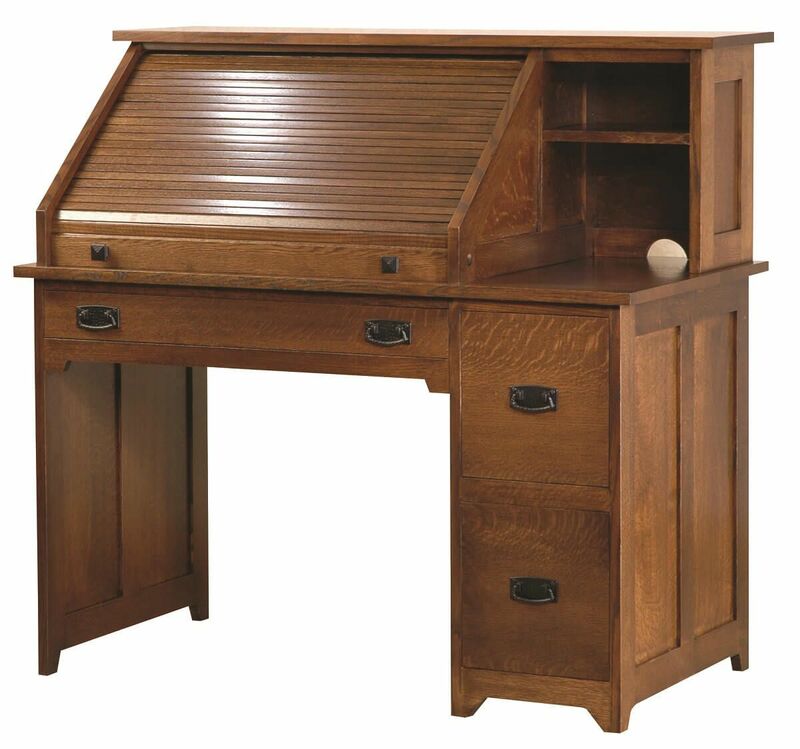 Carefully handcrafted from finest solid woods available, our Homesteader's Roll Top desk offers a simple space saving solution for your home or office. Our Homesteader's Roll Top desk brings a taste of Mission style to your home or office without sacrificing a lot of space. The solid wood used is hand-selected for color and grain consistency, then each roll top desk is carefully handcrafted by our skilled Amish woodworkers and is stained and finished for a beautiful color and shine. 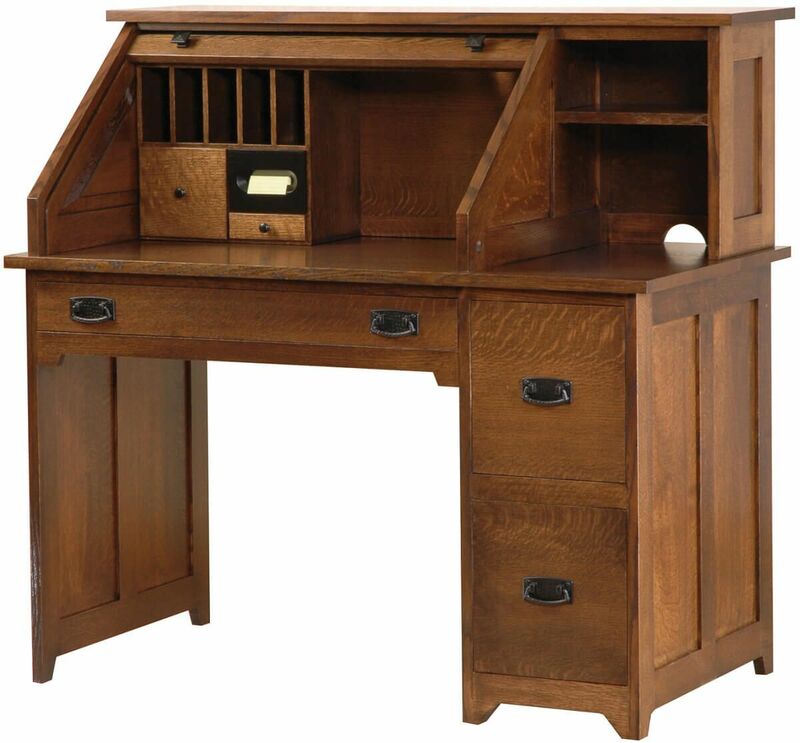 Bring home a taste of genuine Amish office furniture with the Homesteader's Roll Top desk from Countryside. If you prefer the pictured look select Quartersawn White Oak, or browse our online to make your selections based on existing decor.